Description: a65 - 5.7" Multifunctional display without Wi-Fi. No charts included. Description: a67 - 5.7" Multifunctional display with built-in fishfinder (CHIRP) sonar. No charts included. Description: a127 - 12" Multifunctional display with built-in fishfinder (CHIRP) sonar and Wi-Fi. No charts included. Description: a68 - 5.7" Multifunctional Display with built-in DownVision & Fishfinder (CHIRP) sonar and Wi-Fi. No charts included. Description: a98 - 9" Multifunctional Display with built-in DownVision & Fishfinder (CHIRP) sonar and Wi-Fi. No charts included. Description: a127 - 12" Multifunctional display only. No charts included. Description: a128 - 12" Multifunctional display with built-in DownVision & Fishfinder (CHIRP) sonar and Wi-Fi. No charts included. 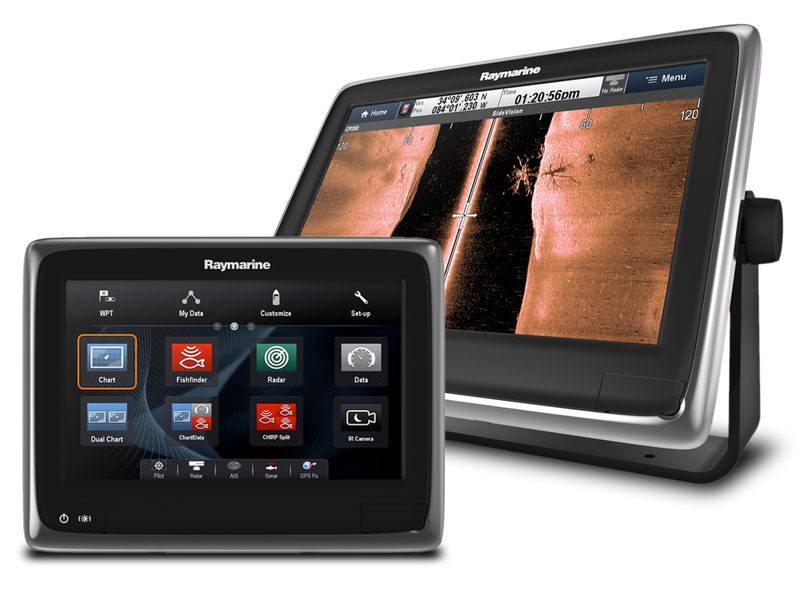 Raymarine’s aSeries, powered by LightHouse II, offer a fluid and tablet-like touchscreen experience that is both powerful and simple to operate. These MFDs also offer a built-in fast GPS sensor and compatibility with leading charts from Navionics, C-MAP, LightHouse Charts and many others. Network and expand your aSeries system with accessories like CHIRP SideVision sonar, Quantum radar, Evolution Autopilot, FLIR Thermal Night Vision and much, much more. Built-in, multi-format electronic charting system.